Kalmar, part of Cargotec, has been awarded a contract for the maintenance and repair of mobile equipment from PSA Corporation Ltd for the next 3-year term. The contract supports the overall maintenance effort of a fleet of up to 700 prime movers and trailer sets at Pasir Panjang Terminal. The contract has been booked into Cargotec's 2017 fourth quarter order intake. Peter McLean, Senior Vice-President of Kalmar Asia-Pacific, said: "We have been working with PSA on the maintenance of their equipment for more than 11 years. Greg Hewitt (MBA, B.Sc.) has over 25 years of versatile experience from industrial equipment, transportation, major appliances and retail businesses. He has worked as President and CEO in Heil Trailer International, as Vice President & General Manager in Komatsu North America, Construction Division, and as Executive Vice President of Sales, Marketing and Customer Service at Jacobsen, a Textron Company. "Greg Hewitt will be focusing on the development of our sales and service and customer interfaces in the Americas region, with the target to increase Kalmar's market share in the region. Cargotec's Board of Directors has in its meeting on 27 January, 2013 appointed Mr. Mika Vehviläinen (M.Sc. (Econ. ), b. 1961, as Cargotec's new President and CEO. Vehviläinen will start at Cargotec on 1 March 2013. 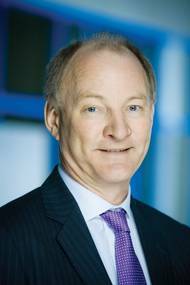 Tapio Hakakari, Cargotec's Vice Chairman of the Board, will continue as the interim President and CEO until 28 February 2013. Mika Vehviläinen is currently the President and CEO of Finnair Plc. Previously he has held senior leadership positions at Nokia Siemens Networks and Nokia, and has worked in logistics and service development duties in the United States and in Asia.